HG Data announced a new, multi-year strategic data partnership with the Aberdeen Group, formerly Harte Hanks Market Intelligence. This new partnership will enhance the Aberdeen Group’s targeting and predictive analytics services by enhancing the view of the global technology install base; giving sales and marketing professionals greater actionable insight into organizations’ future purchasing plans as well as Aberdeen’s trusted content designed for all stages of the buyers’ journey to use with the audience. 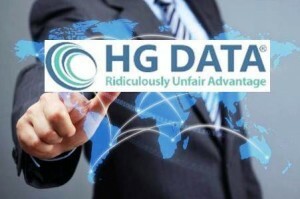 HG Data maintains billions of unstructured documents in a proprietary repository comprised of current web, historic web and offline source files. It then applies 21st-century data science—algorithms, natural-language processing, supervised machine learning, language translation, OCR and proprietary ontologies—for the largest, most accurate dataset of installed-technology intelligence available anywhere. About: The Aberdeen Group brings together big data and content marketing services to help technology companies identify their buyers, establish credibility and then engage throughout the buyer’s journey. Since 1969, the proprietary Ci Technology Database (CiTDB) has monitored installed technology, tracked IT decision makers and built predictive spend models and likelihood to buy algorithms. Its datasets cover enterprises, institutions and government operations in North America, Latin America, Europe and Asia-Pacific. Today, the CiTDB is also the intelligence engine for the Aberdeen Group’s targeting and engagement solutions.